The combined proposal will include sites in Arlington, Bellevue, Bothell, Everett, Kenmore, Marysville, Renton, Lynnwood, Tukwila and land owned by the Tulalip Tribes. Notably absent — Tacoma. 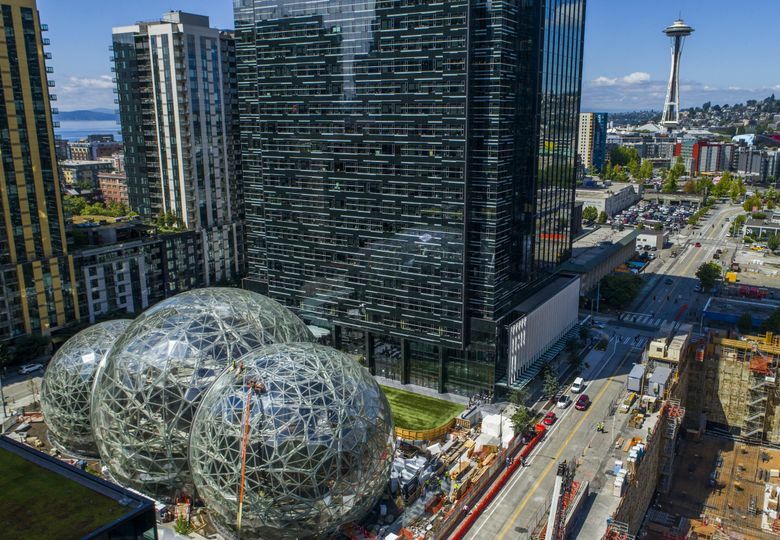 Nine cities in King and Snohomish counties as well as the Tulalip Tribes are joining forces in a bid to land Amazon’s second headquarters, launching a longshot effort to keep the retail giant’s HQ2 in the neighborhood of its first. King County Executive Dow Constantine and Dave Somers, his Snohomish County counterpart, announced their intent Thursday to submit a single proposal with multiple potential sites for Amazon to consider. That bid will not contain an offer from Seattle, home to Amazon’s existing headquarters and about 41,000 employees. But the combined King-Snohomish proposal will include sites in Arlington, Bellevue, Bothell, Everett, Kenmore, Marysville, Renton, Lynnwood, Tukwila and land owned by the Tulalip Tribes. “It’s an amazing place, and we think Amazon should grow here,” Somers said at a news conference Thursday to announce the effort. Many have interpreted Amazon’s unusual public continentwide search, which has drawn more than 140 announced bidders, as an indication that executives thought the company needed to grow beyond the Pacific Northwest. But Amazon officials have said they wouldn’t rule out bids from Washington state or even Seattle. The region’s bids are anchored largely to development projects already in progress or on the drawing board. Renton plans to suggest the Southport office project adjacent to the base of Lake Washington. Tukwila will recommend a patch of land, between Interstate 5 and the Green River, that’s among the hundreds of acres owned by the Segale family. Marysville and Arlington put forward their joint Manufacturing Industrial Center, a massive, 4,019-acre plot of mostly undeveloped land. Both counties’ leaders said the bid was partly an exercise in flexing their corporate recruiting muscles, a sort of trial run for the kind of regional pitches they hope to make to other companies in the future. “It is about our ability to unite as a region,” Constantine said. That ability has its limits. Absent from Thursday’s news conference: Tacoma. Officials from the city and Pierce County have said they are also working on proposals for Amazon’s headquarters. In a news release Thursday, the Economic Development Board for Tacoma-Pierce County confirmed it would submit its own “South Sound” bid. Bruce Kendall, the development group’s chief executive, had previously said the proposal would be centered, for Amazon’s initial build out, around sites in downtown Tacoma. 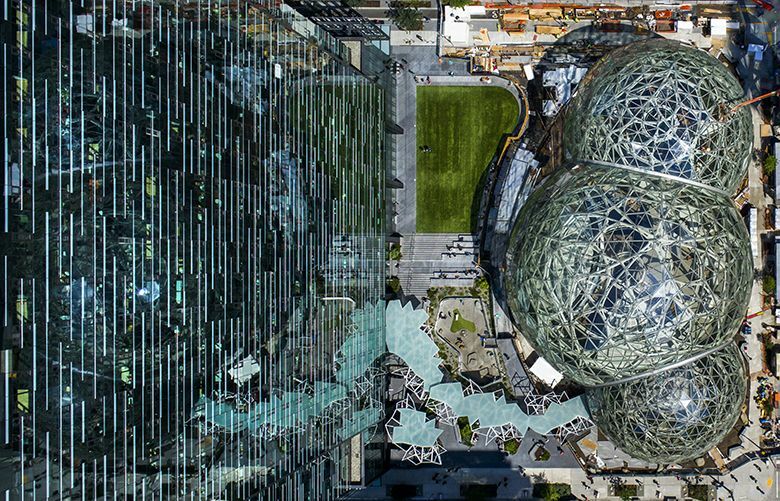 Amazon’s request for proposals appeared to mandate that the three most populous Western Washington counties submit a single document. A line on the first page of Amazon’s document invites bids sent “in conjunction with and on behalf of your metropolitan statistical area” (MSA). The Seattle MSA includes King, Pierce and Snohomish counties. Constantine said he didn’t think separate bids would disqualify them in Amazon’s eyes. He also addressed concerns about the enormous pressure Amazon’s growth has placed on Seattle and neighboring cities, with critics linking the company’s presence to rising housing costs, traffic snarls and issues like homelessness. Amazon’s growth, he said, has been a good thing for the region as it seeks to house the next phase of the company’s expansion.